Teaching privately in the UK. Grateful for the generosity of ESL Printables members and all Victor´s hard work. Happy to answer any queries re British English. Yes/no questions: Do or Does? Did or Didn’t? Don’t or Doesn’t? 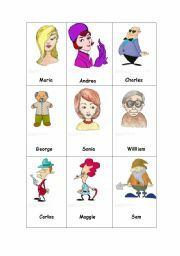 A game for 5 players.Pg 1: 25 question cards with simple sentences.Pg 2: 25 question cards with incomplete sentences. Pgs 3 & 4: 28 possible answers.Pgs 4 & 5:instructions for play.Pg 6: 2 gap-fill exercises. Editable. 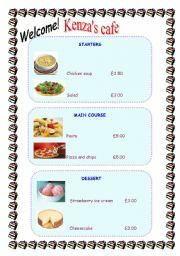 Enjoyable role-plays involving eating out. 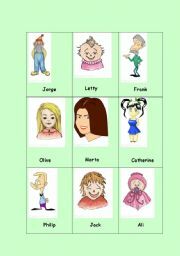 (Good activity for reinforcing food vocabulary and for teaching good manners when eating out) Dialogues may be based on the script on page 4, depending on ability of students. Alternatively, decide on your own target constructions e.g. I’d like a …. and Here’s a … and build the script around those. 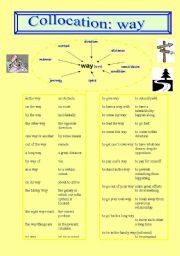 Useful collocations with ´way´. Ps3 and 4 feature 2 gap-fill exercises. P5 - answers. Hope it´s of some use. 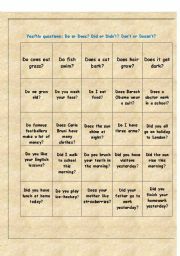 Aim for nine a day! 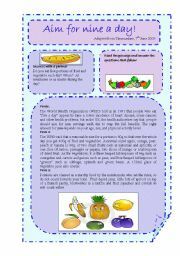 Extract on nutrition adapted from timesonline. 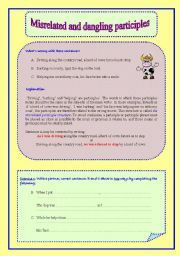 Exercises on selecting titles for paragraphs, matching words with their meanings, T/F comp. 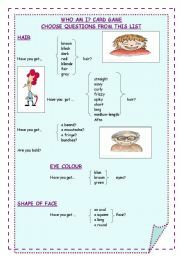 questions, collocations and a speaking activity. Answer sheet on pages 4 and 5. 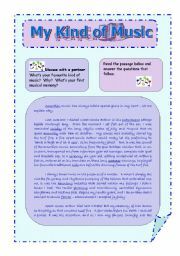 I was teaching these to a student last week and discovered that there were no relevant worksheets on the site so, here you are! Hope this is of some use. There are 3 sample sentences of each to elicit the errors, followed by explanations and exercises. Answers included.